Willow Grace: Got caught in a hail storm on our first Rhino ride of the season. 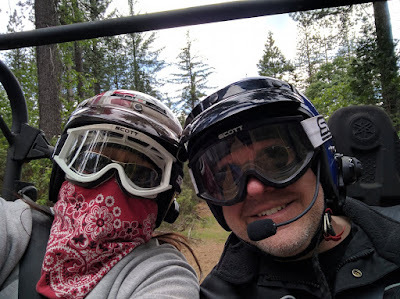 Got caught in a hail storm on our first Rhino ride of the season. Is a Rhino like a Gator, only bigger?